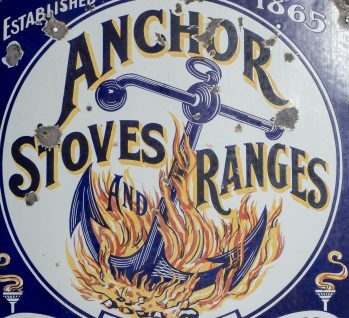 21" x 23" Rare Single Sided Porcelain Sign for Anchor Stoves and Ranges, est. 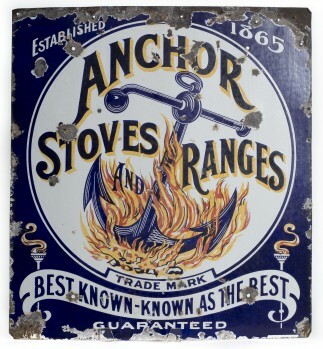 1863 and featuring brilliant 5-color porcelain with excellent flame graphics. 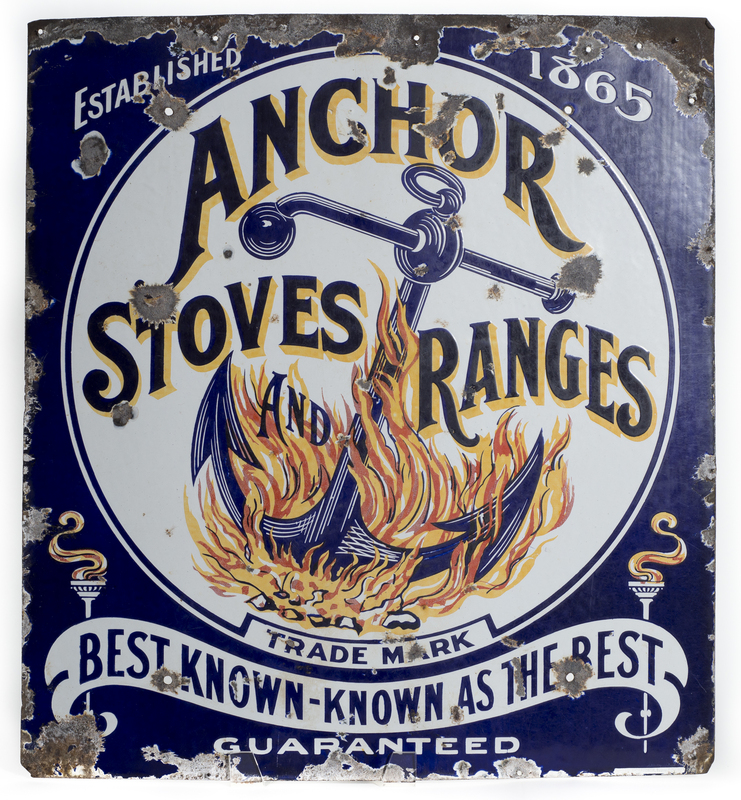 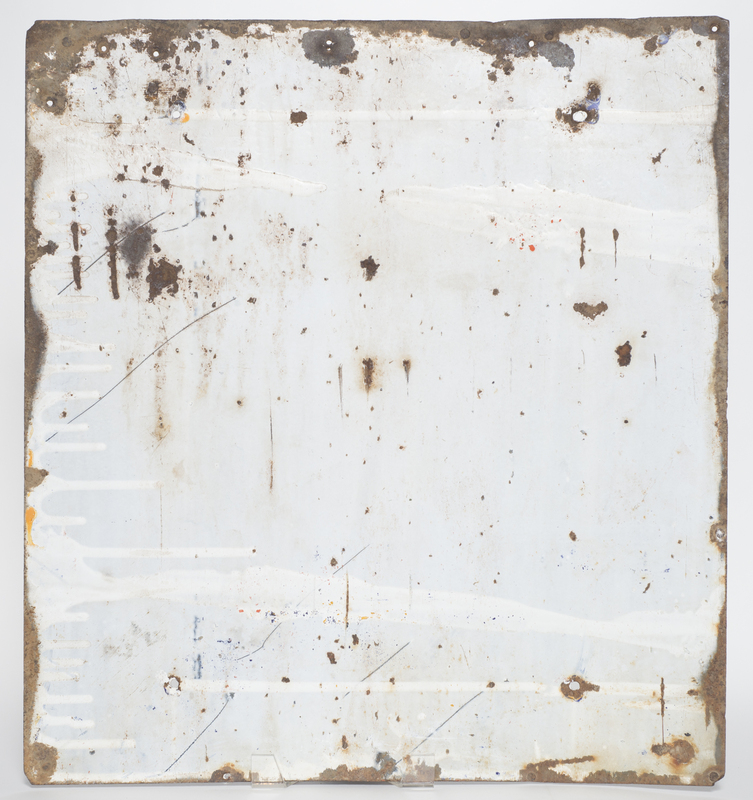 This piece dates to the late 1800s / early 1900s and is not one you'll see again soon. Damage to edges and field, but still displays very attractively.